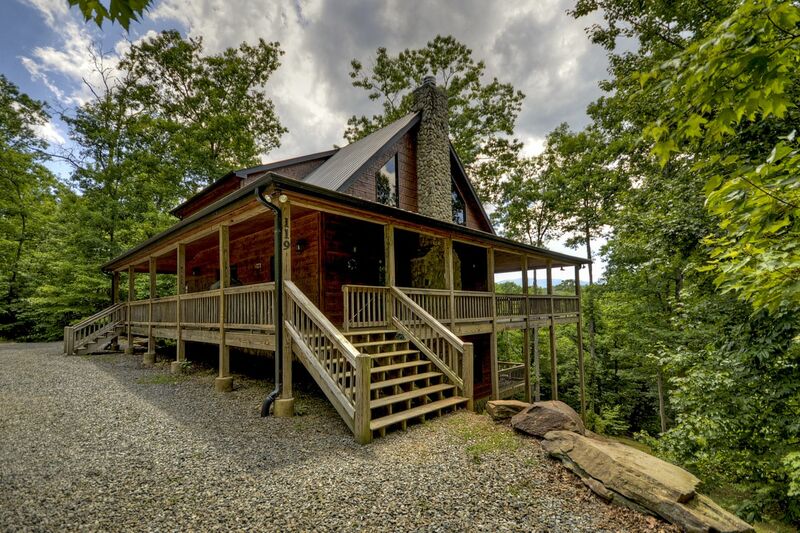 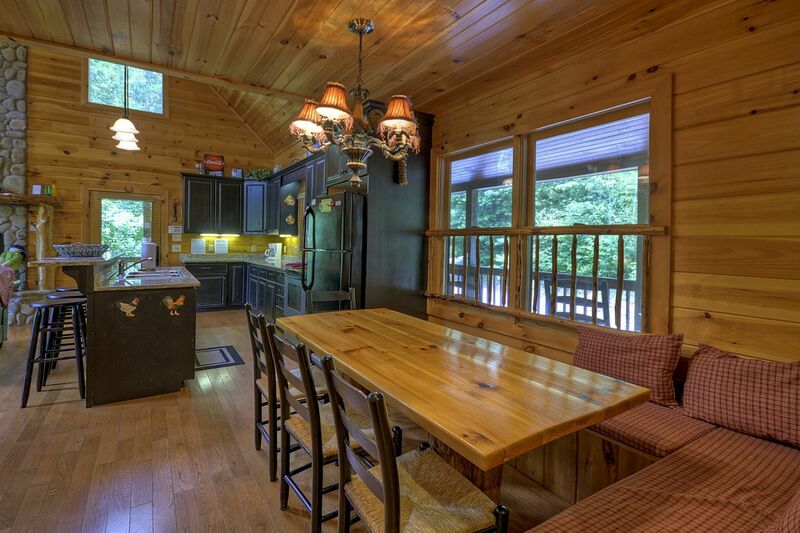 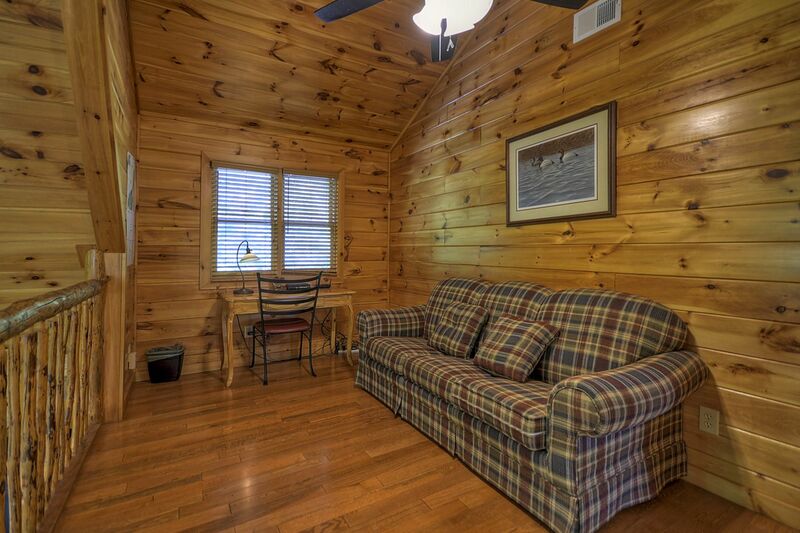 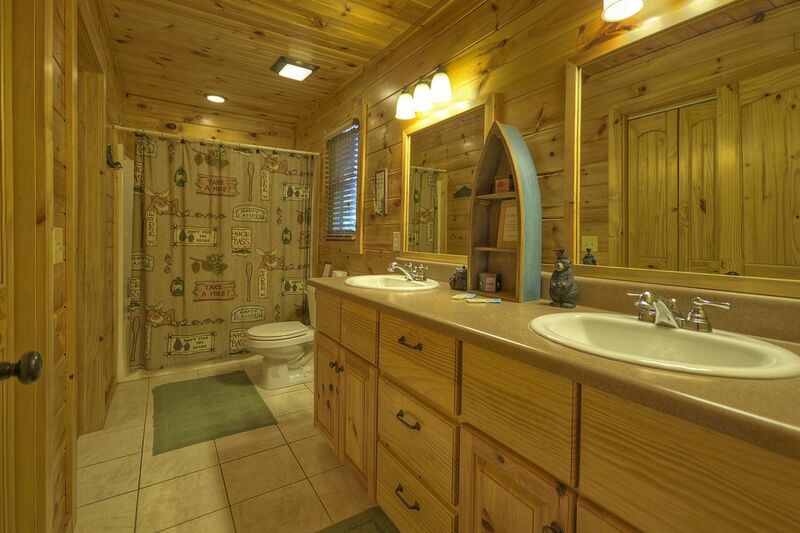 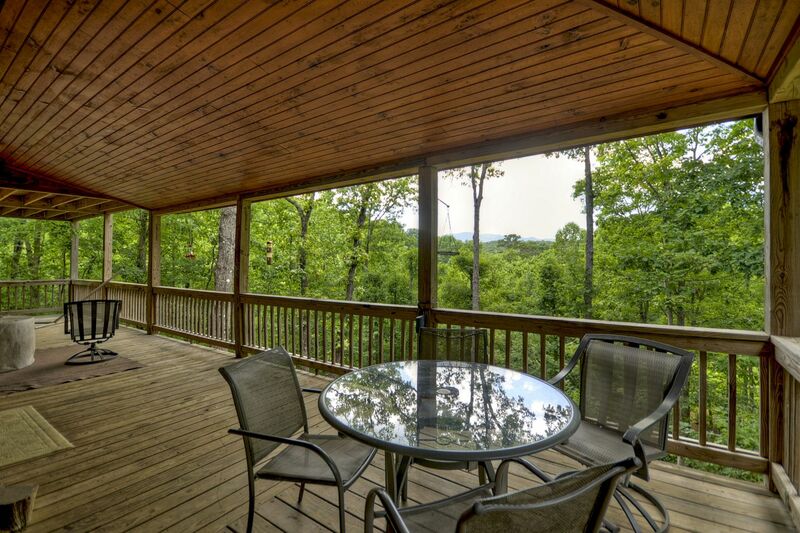 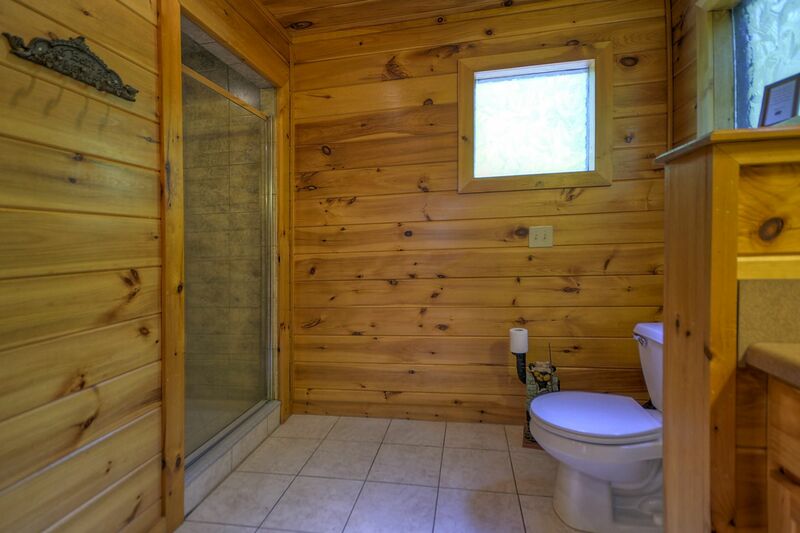 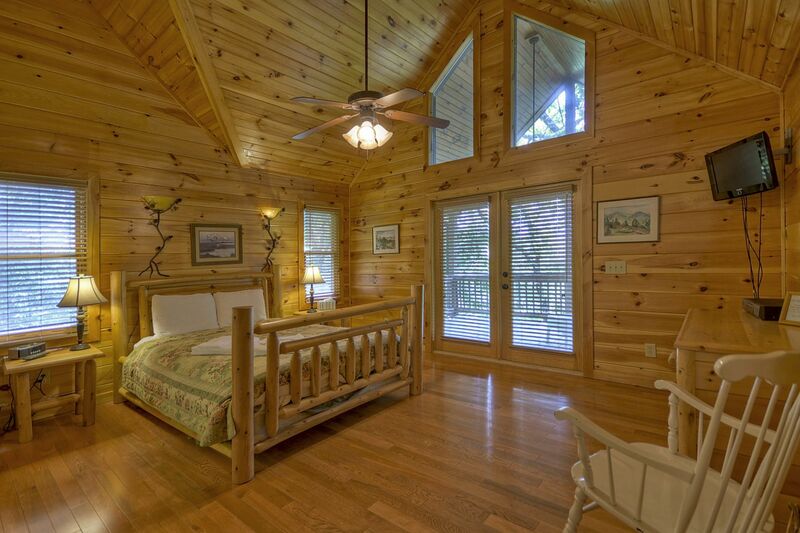 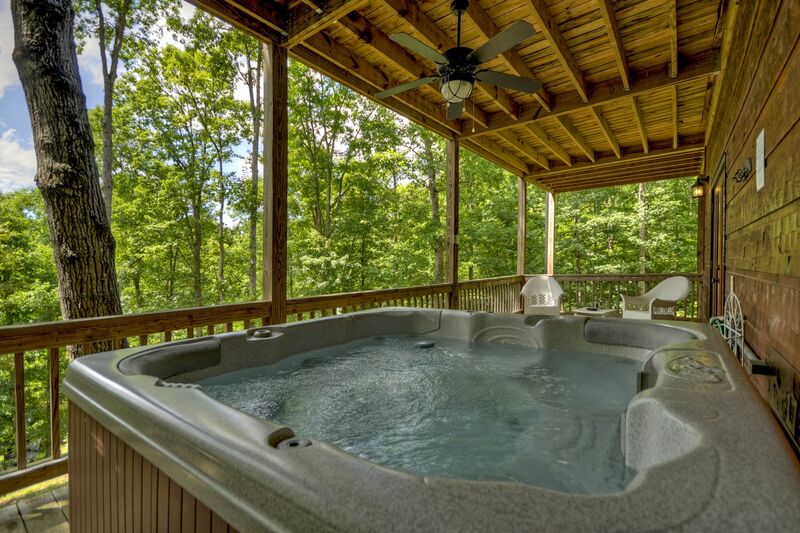 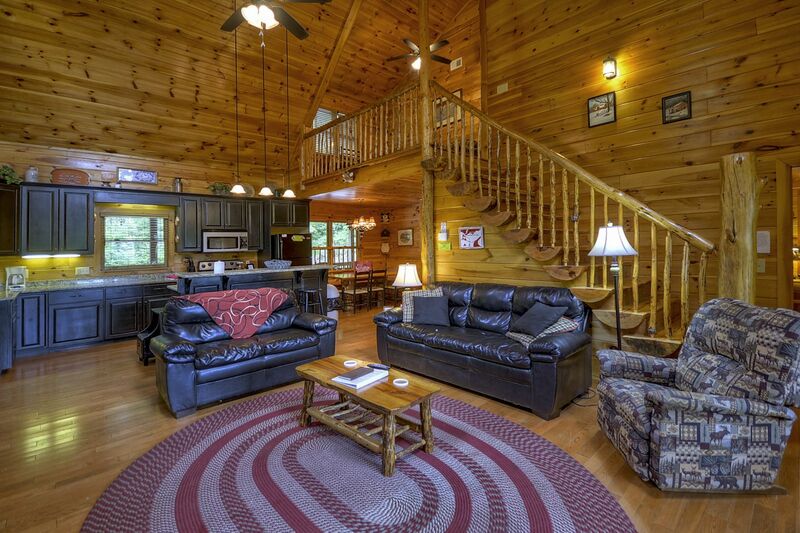 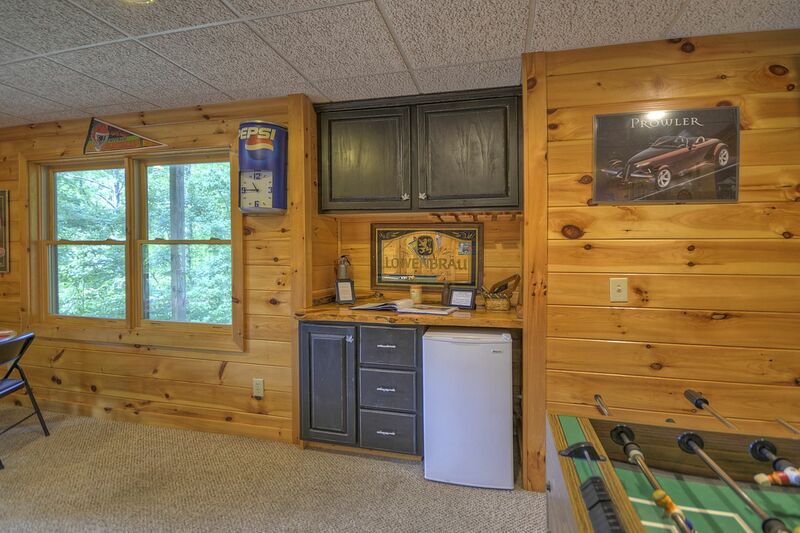 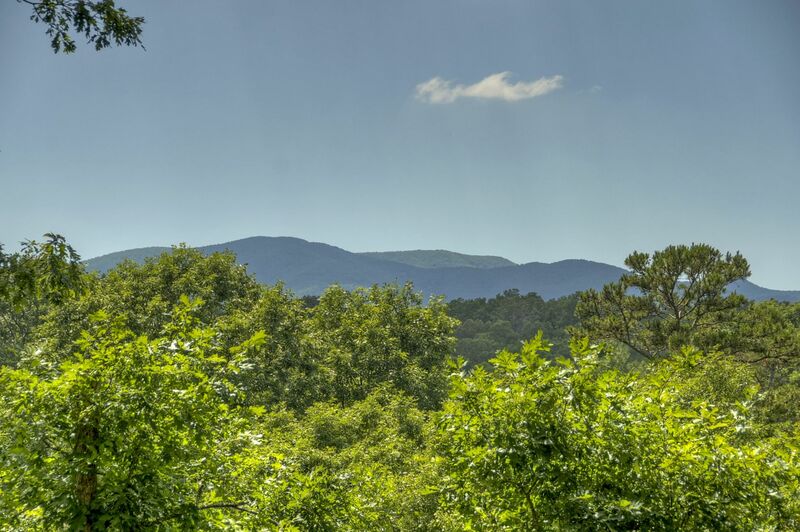 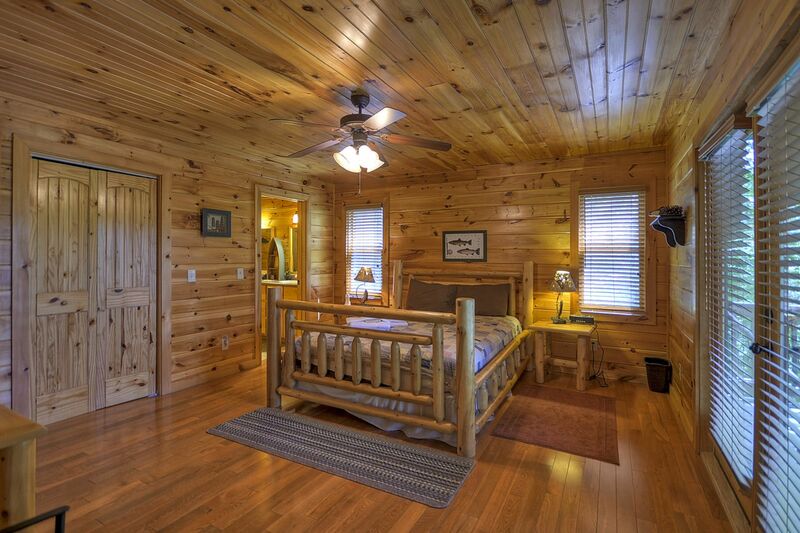 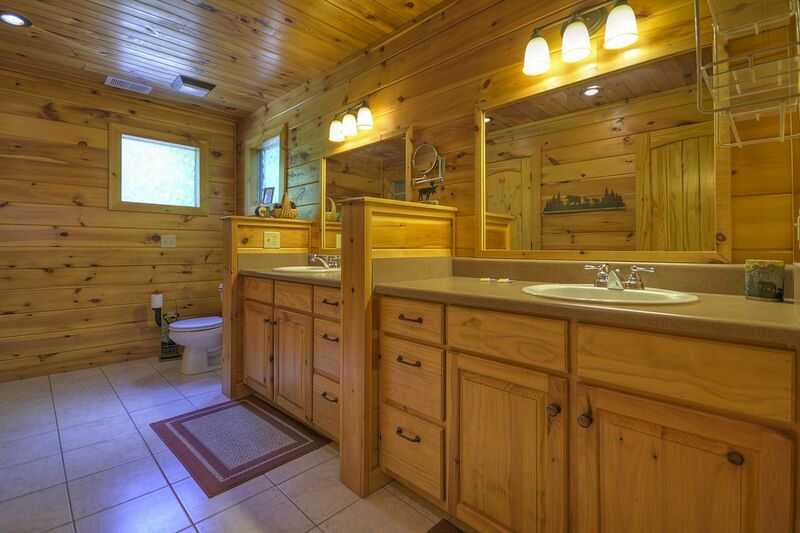 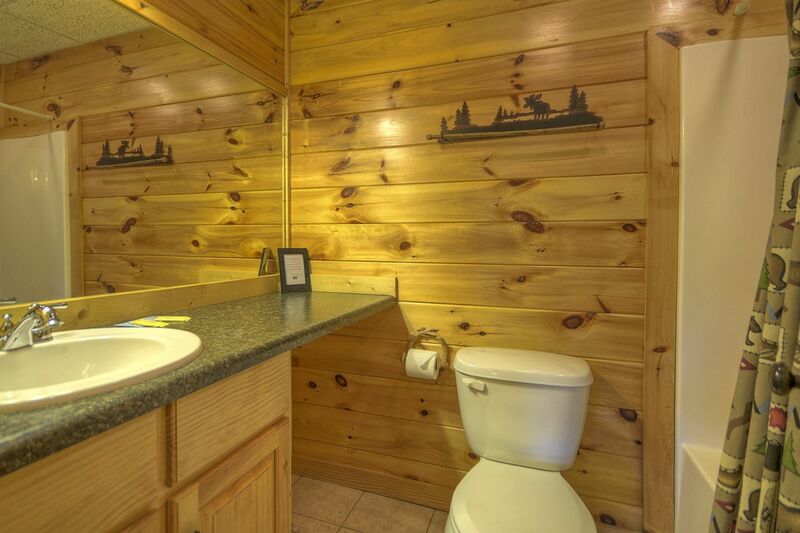 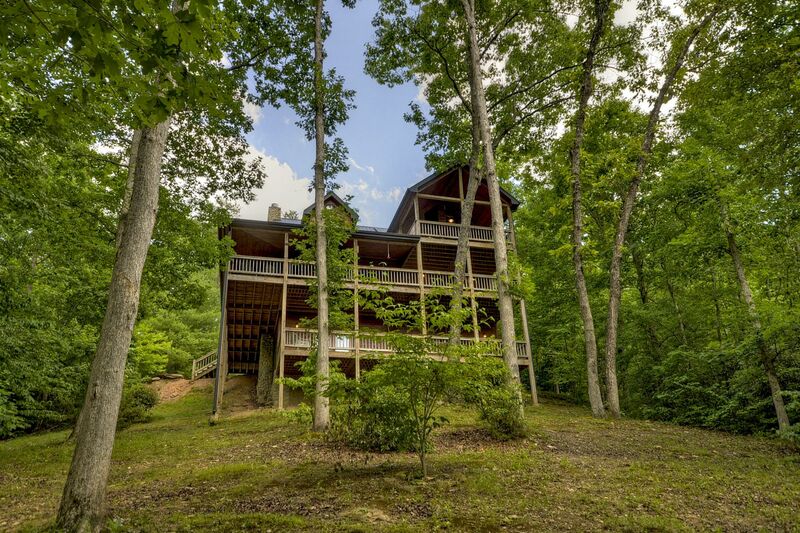 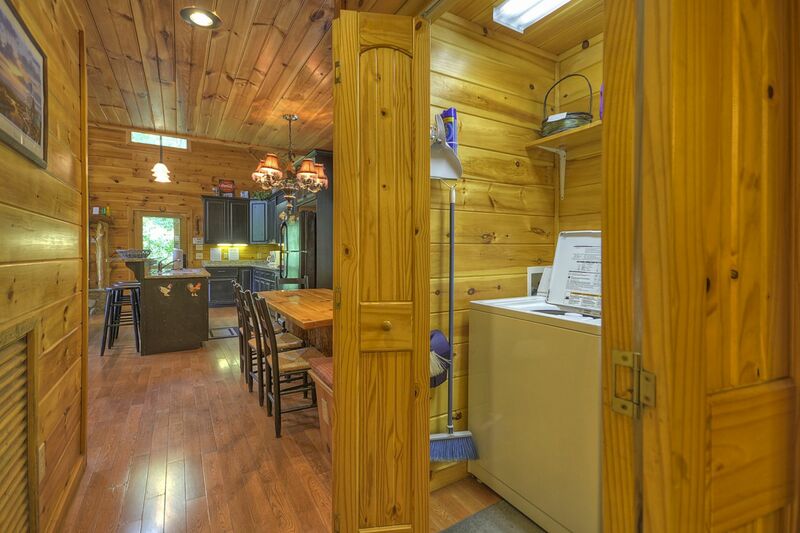 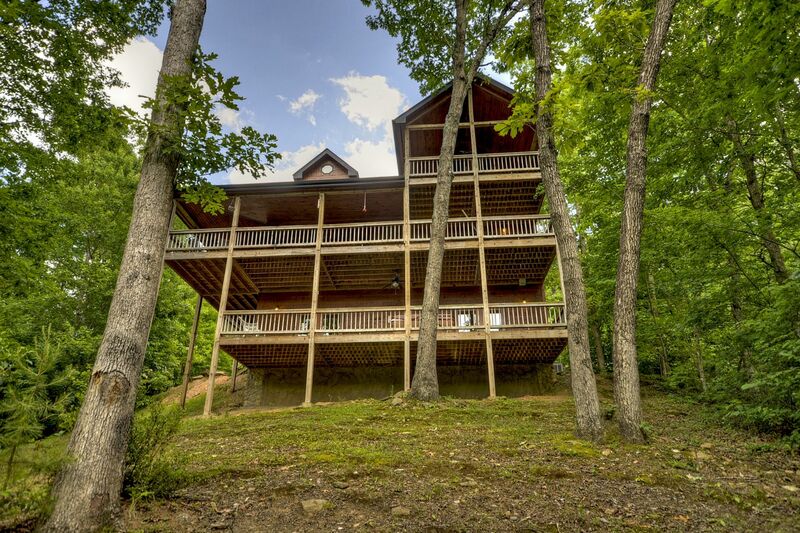 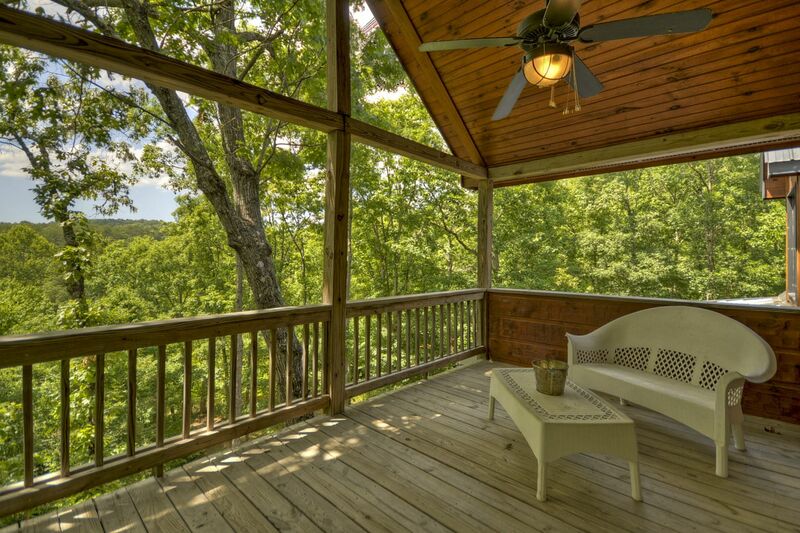 The drive leading up to this Ocoee River cabin rental has plenty of mountain laurel and wild honeysuckle, and your cabin has its very own creek and scenic mountain views. 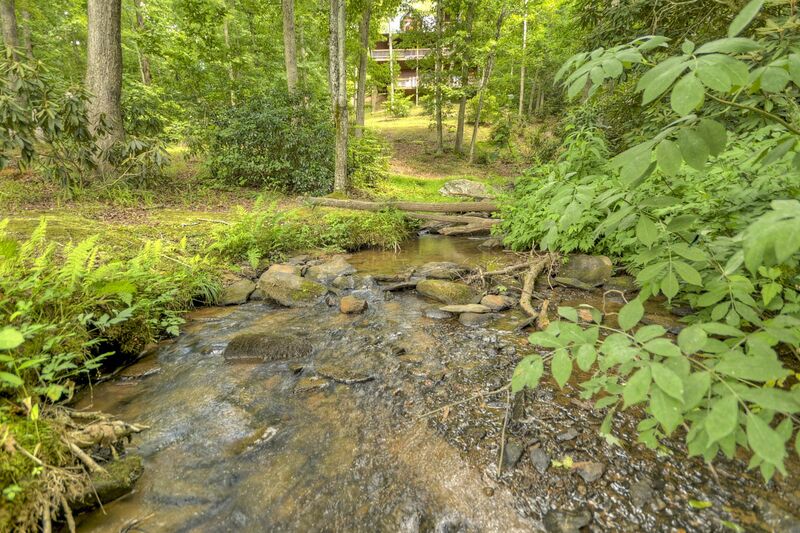 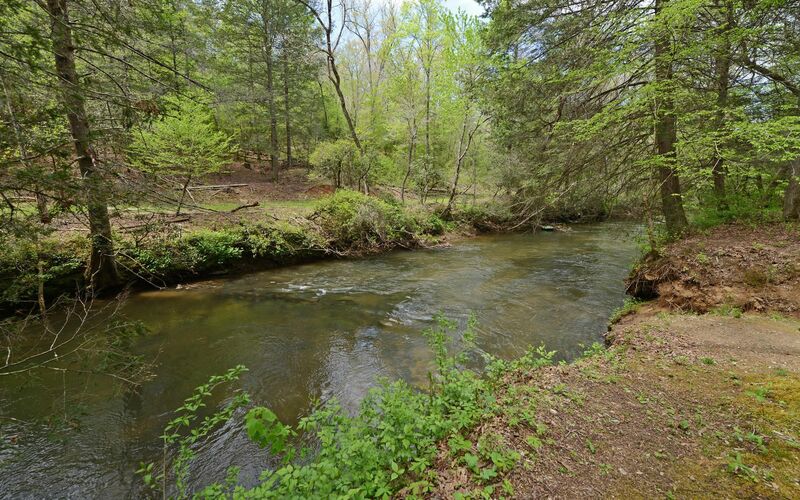 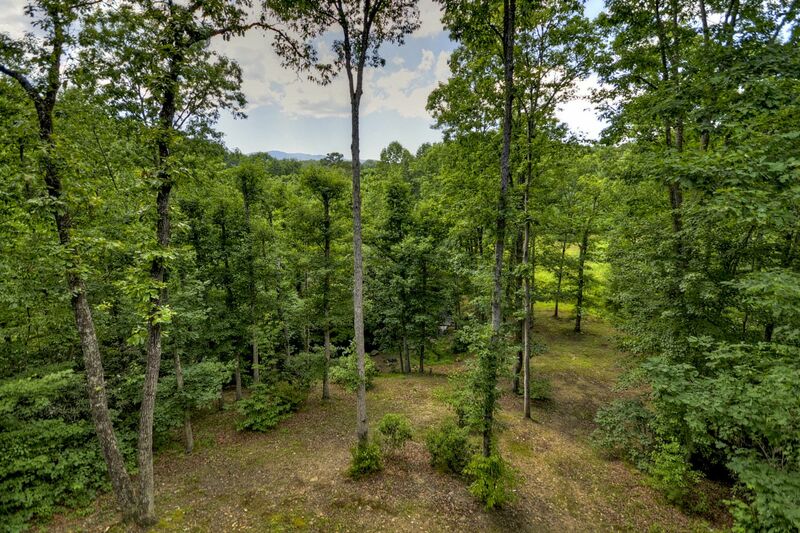 Enjoy the relaxing sunshine and lush vegetation near the large boulders along the creek. 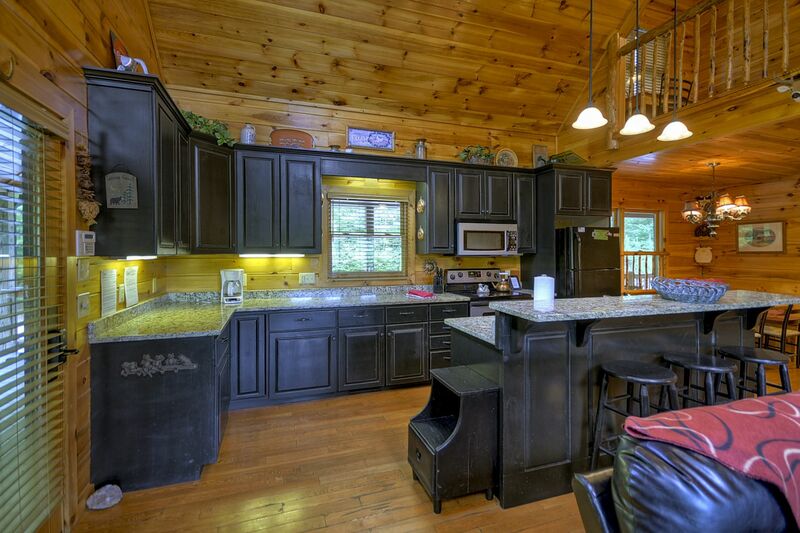 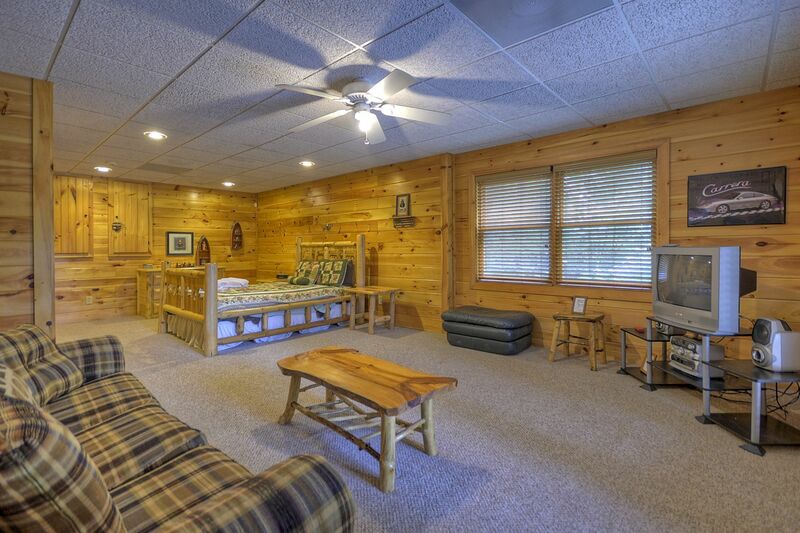 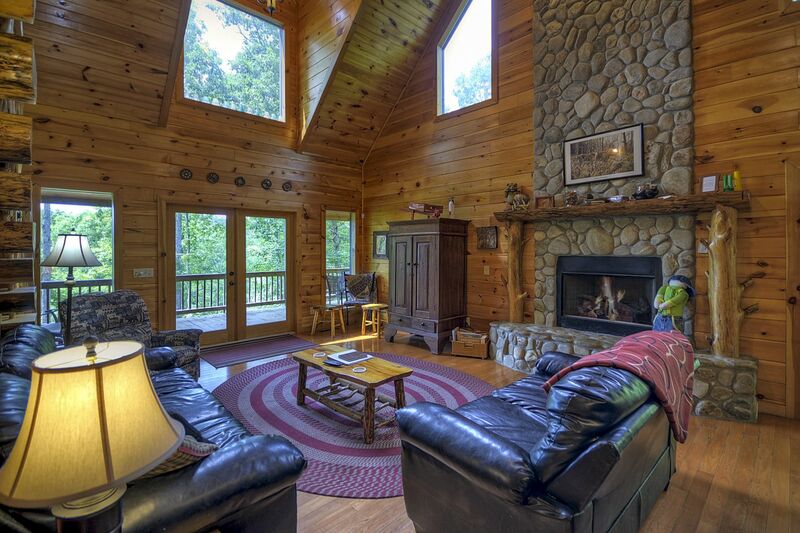 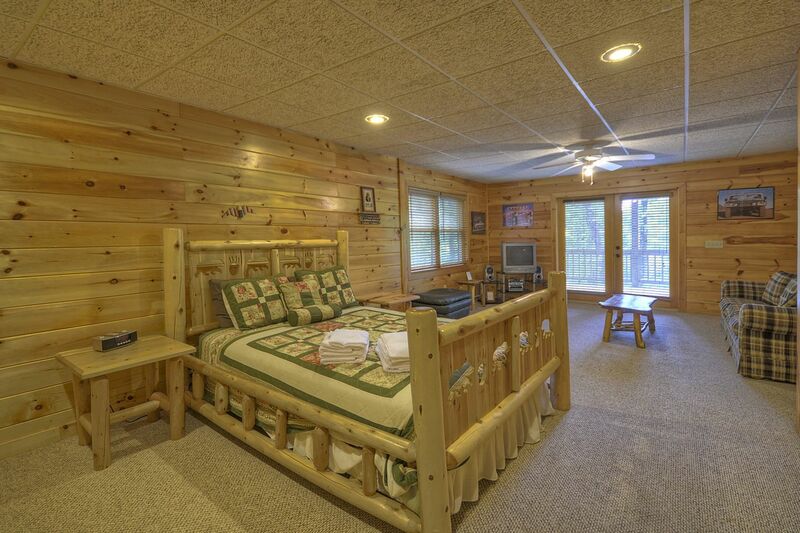 Crooked Creek includes a rock fireplace, log mantle and log staircase. 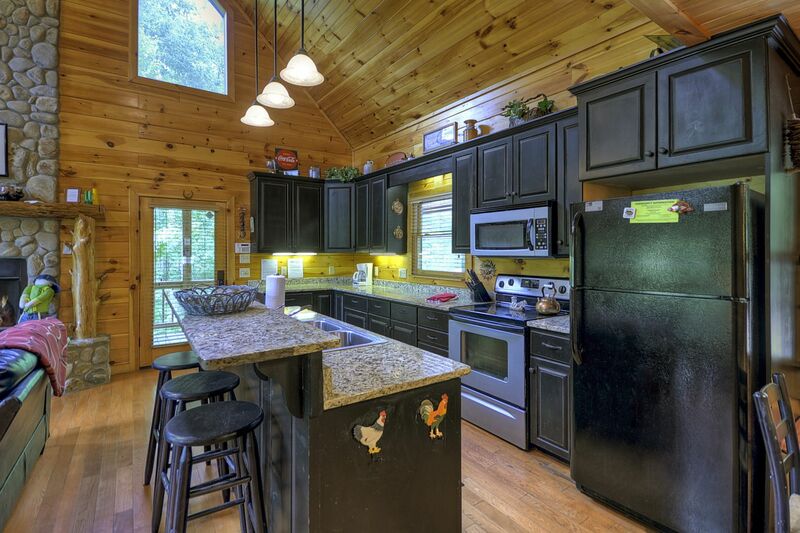 The first floor features a spacious kitchen, with a benched breakfast nook, as well as a large master bedroom with deck access. 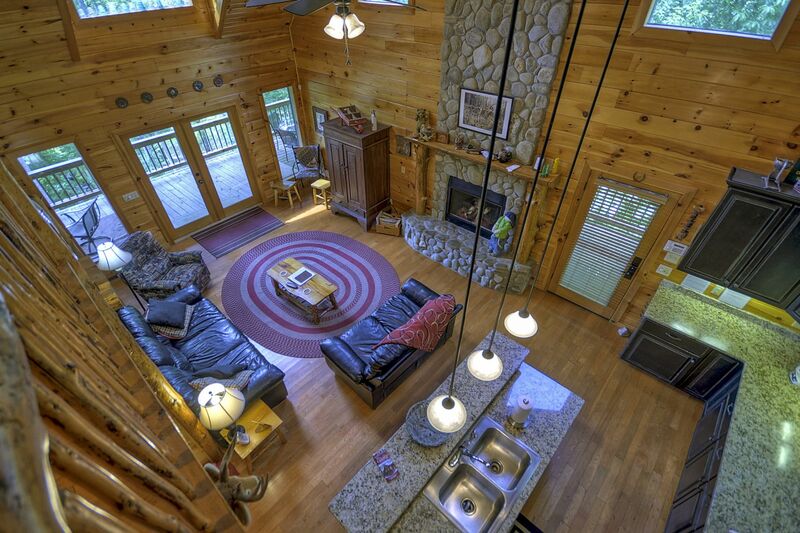 The second floor loft offers a small office area and a quiet spot to relax in a rocker and soak in the mountain views. 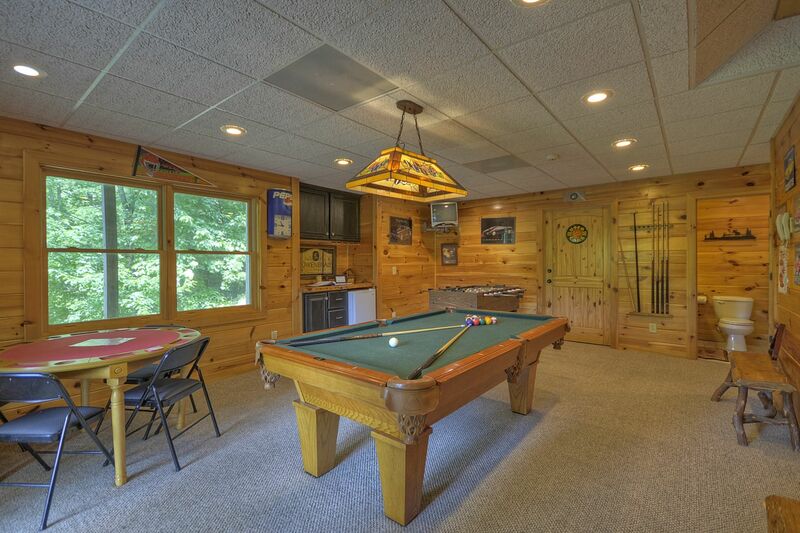 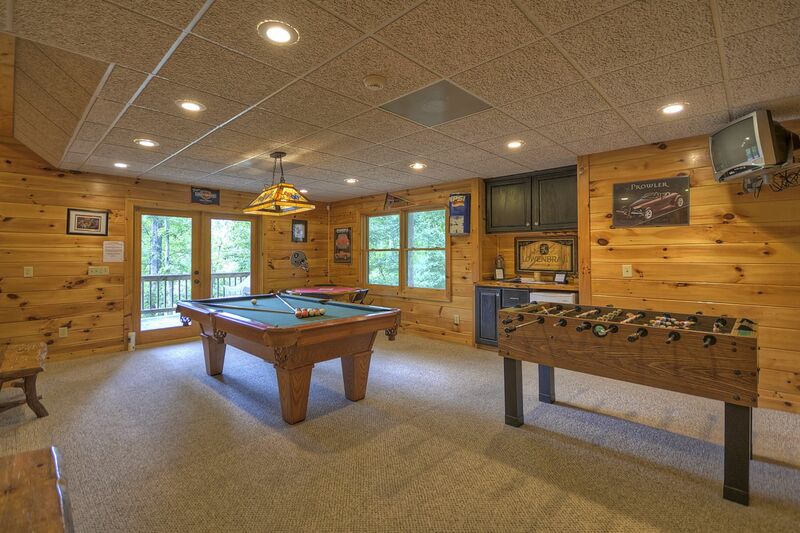 Visitors interested in a little friendly competition will find a pool and foosball table in the game room.